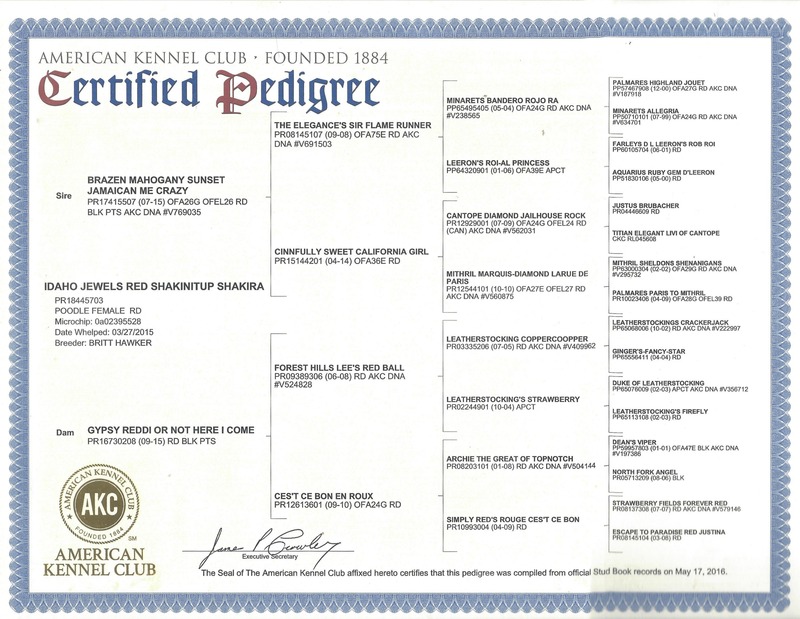 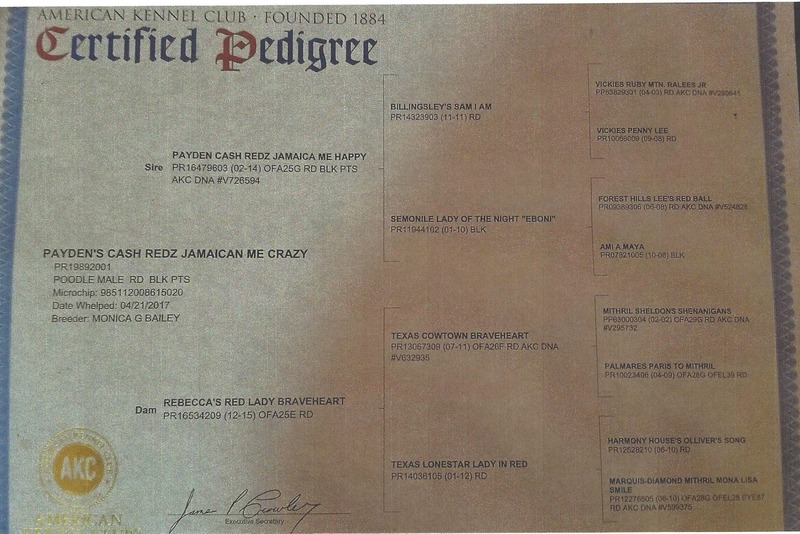 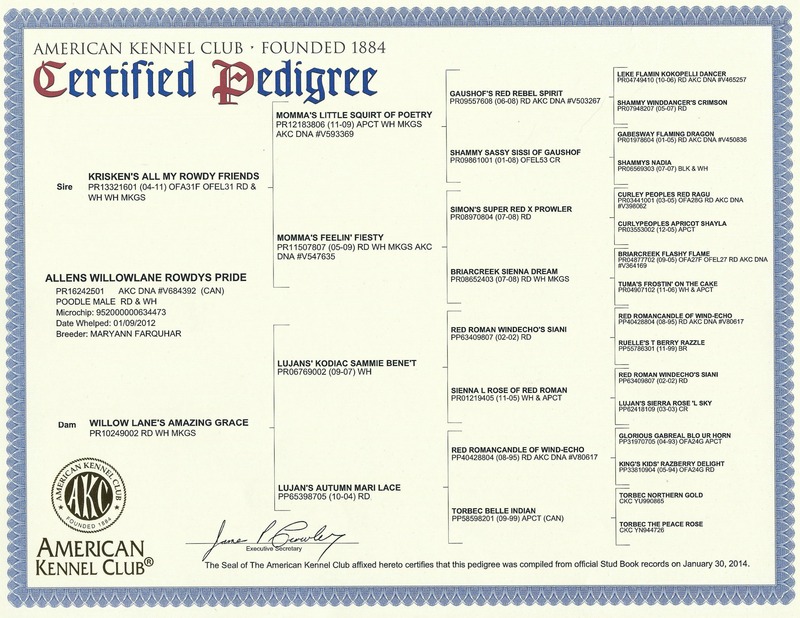 ​Between the 2 of them they have AMAZING pedigrees with Leatherstocking, Majestic, Palmares, Minarets lines which also include strong service and therapy animal backgrounds. 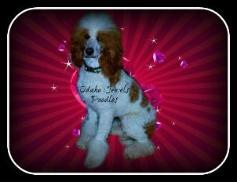 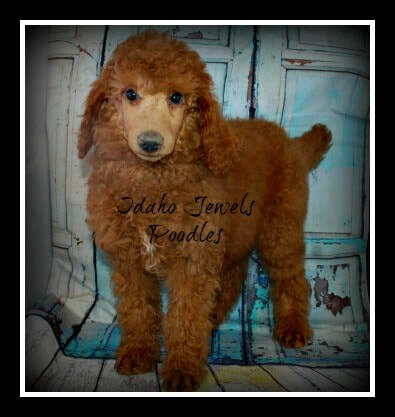 Cash is a solid mahogany red standard poodle, weighs 60 lbs and stands 28" tall. 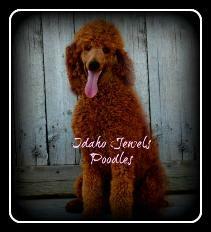 This is a 1st time breeding between these 2 and we are NOT disappointed!